Jack Wilshere has announced he will leave Arsenal in the summer when his contract expires. Wilshere decided to part ways with his boyhood club after new manager Unai Emery told him he would not be a first team regular. The 26-year academy product said he was informed that his game time would be "significantly reduced" during a meeting with the Spaniard, and therefore decided to leave when his contract is up on July 1. He said that he had agreed to sign a reduced contract in order to stay at the club, but needs to be playing regular first-team football. "Following a number of extensive conversations with those at the club, and in particular a recent meeting with the new manager Unai Emery, I felt that I was ultimately left with little choice but to make the decision that I have due to purely footballing reasons,” he wrote on Instagram. "However, following my meeting with the new manager, I was made aware that although the reduced contract offer remained, it was made clear to me that my playing time would be significantly reduced should I decide to stay. "I am sure everyone can understand that, at this point in my life and career, I need to be playing regular first-team football and following my meeting with Mr Emery I came away with the feeling that it would be very difficult for me to do so at Arsenal. 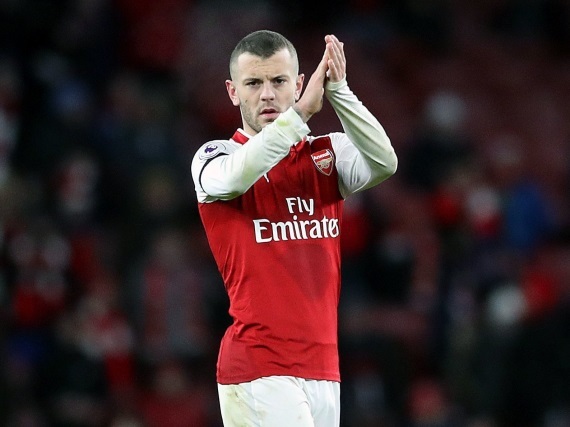 Wilshere, who has made 197 appearances and scored 14 goals in all competitions for the Gunners, has been linked with several clubs in recent weeks, including Premier League clubs Fulham, Crystal Palace, West Ham, Everton and Wolves, while Serie A clubs Juventus, Sampdoria and AC Milan are also said to be interested. Arsenal paid tribute to Wilshere on social media. "Everyone at Arsenal would like to wish Jack Wilshere a successful future following his decision to seek new opportunities," a statement read. "Thank you Jack for your contribution and the fantastic memories. Good luck in the future."